For those with an interest in the history of London hospitals, and especially for anyone with medical or nursing ancestors, the Society of Genealogists is organising a trip to the King’s College Archives in London, on Friday, 19 February 2016, from 2pm to 3.30pm. The visit costs just £10 for non-members. The archives house records relating to the history of medicine, including King’s College Hospital (founded 1839) and material relating to Guy’s and St Thomas’ Medical Schools and their predecessor bodies. They also hold case notes for the Belgrave Hospital for Children, and significant material on the history of nursing, including the archives for the King’s College Nurses’ League and the Royal British Nurses’ Association. The visit will begin with a general introduction to the archives before focusing on the sources applicable to family history research. For details, and to book your place, see the Society of Genealogists website. Initially Dorset County Hospital did not admit expectant mothers. A female patient, even if she had a legitimate medical need, would be discharged if found pregnant. Such was the experience of Jane Wills, the 26-year-old wife of a labourer from Broadmayne, who was admitted in October 1859 for surgery on a mammary abscess. She was discharged within a month “on account of pregnancy” and the baby was born early the following year at home. Like Jane, most Victorian mothers had their babies at home but some might go to the workhouse or, in cities, to a lying-in hospital. Some women became desperate to find somewhere for their confinement. In 1851 Ann Pearce, aged 22 and from Sherborne, walked all day from Bristol to Clutton in an advanced state of pregnancy, only to find the workhouse there shut up for the night. By this time she was barely able to stand. She managed to walk a little further, to a local surgeon’s, but he was out. “After great suffering” she was taken in by an innkeeper, and gave birth fifteen minutes later. Other women went further afield, especially if they had something to hide: in 1852 Charlotte Haines from Blandford had her baby in the lying-in hospital in Holborn, Middlesex. She was the widow of an excise officer who had died more than nine months before. 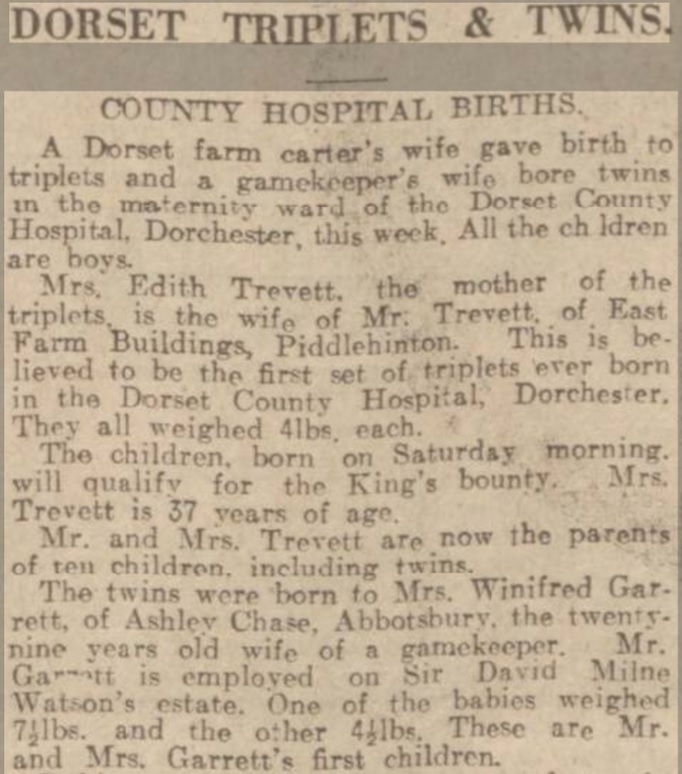 Gradually Dorset County Hospital began to deal with obstetric emergencies but ordinary maternity cases were not accepted until 1921. That year the hospital agreed – cautiously – to take a small number of expectant mothers, in return for a grant from Dorset County Council. From 12 cases initially, the number of maternity admissions rose to 54 by 1931. In July 1935 the first triplets – James, John and Joseph Trevett – were born in the hospital, followed that same week by the birth of twin boys. In 1946 Dorset County Council invited the hospital to run Somerleigh Court, which the council had recently acquired, as a 20-bed maternity unit, but a post-war shortage of labour and materials delayed its opening until 1949. The maternity unit transferred to the new site in 1987 where, now, over 2,000 babies a year are born. Newspaper image © Local World Limited. Image created courtesy of THE BRITISH LIBRARY BOARD (www.britishnewspaperarchives.co.uk). Sources: Dorset History Centre, Dorset County Hospital in-patient admission register, NG/HH/DO(C)/5/2/2, entry 4752; birth certificate for Bessy Wills, Dorchester, March quarter 1860, volume 5a, page 384; Bath Chronicle, 13 November 1851, page 4; The National Archives, the British Lying-in Hospital, Endell Street, Holborn, birth register, volume 11, RG8/61, entry 39214; Western Gazette, 12 July 1935, page 4, 4 April 1947, page 3, and 13 January 1950, page 5. 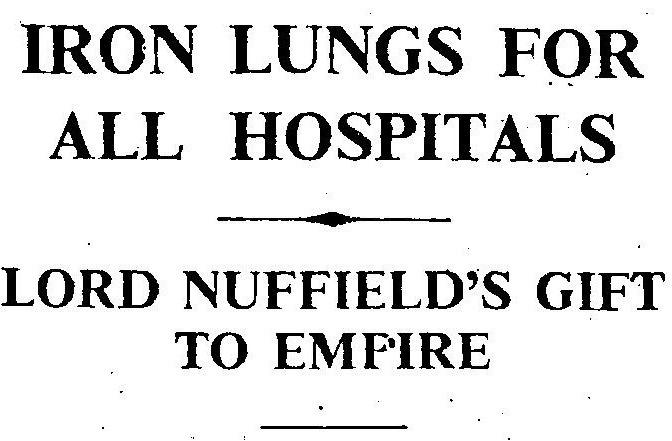 Seventy-seven years ago this month, in November 1938, car manufacturer William Morris, Viscount Nuffield, announced that he was donating iron lung respirators to hundreds of hospitals across the British Empire, including Dorset County Hospital. 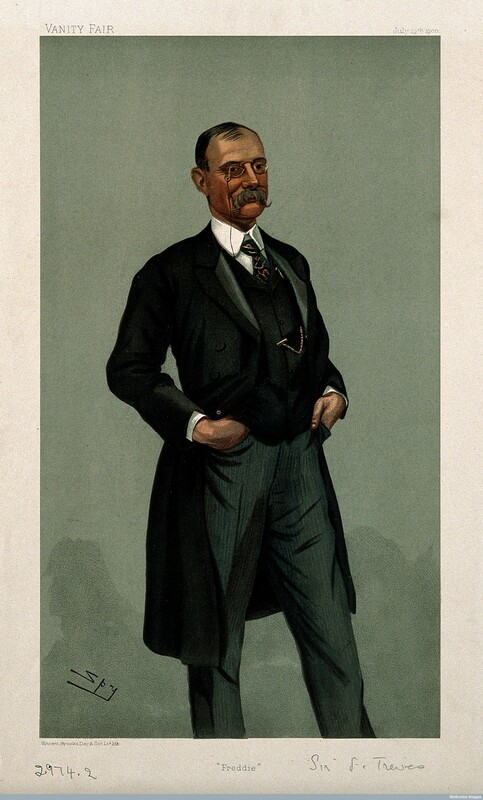 Lord Nuffield’s interest in the iron lung had been sparked by a film showing the importance of artificial respiration in cases of infantile paralysis caused by polio. He told the press: “It seems a dreadful state of affairs that so many children, as well as adults, should die from infantile paralysis when they could be saved, and not only saved but cured, whereas without these machines they must die”. The respirator Nuffield manufactured at his car factory at Cowley was designed by E. T. Both, a young Australian inventor, who developed it following a severe polio epidemic in Australia in 1937. Originally the machines had been manufactured by Messrs. D. and J. Fowler Ltd. of Adelaide and London. Nuffield donated over 5,000 machines to UK hospitals alone, and more than 700 hospitals across the Empire benefitted from the scheme. 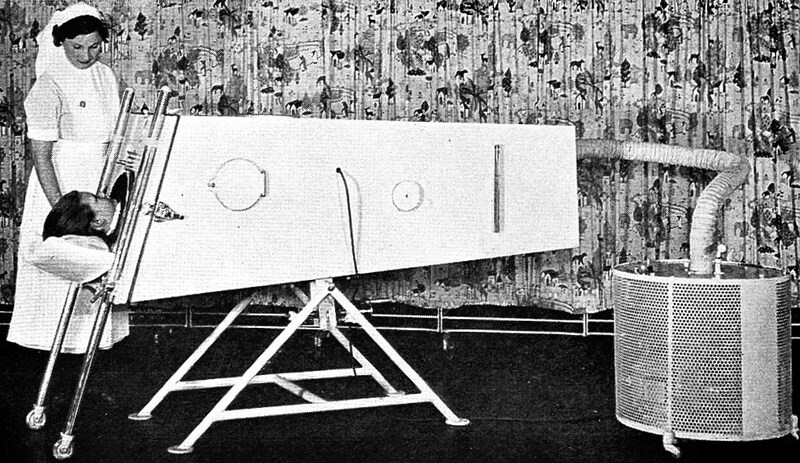 The Both respirator was made of laminated wood, making it far lighter and cheaper than other models (production was estimated to cost just £98 each). The respirators were operated by a half horse-power motor or by hand if electricity was not available. In the UK, hospitals receiving the machines had to pay a nominal sum of £1 a year for maintenance, which was carried out by Messrs. Fowler. Dorset County Hospital first used its iron lung in late December 1939 on “a young lady who lives near Dorchester, and who was admitted … suffering from infantile paralysis”. A patient suffering paralysis as a result of acute polio infection would need their respiration artificially maintained for one to two weeks before they could breathe independently again. Before vaccination became widespread from 1955 onwards, polio cases were most common at the end of July and the beginning of August. During the 1930s the country saw approximately 450-500 cases a year. Sources: Wells Journal, 19 August 1938, page 1; The Times, 24 November 1938, page 11; Western Gazette, 22 December 1939, page 3; Lord Nuffield: A Philanthropic Legacy (Nuffield College, 2013). 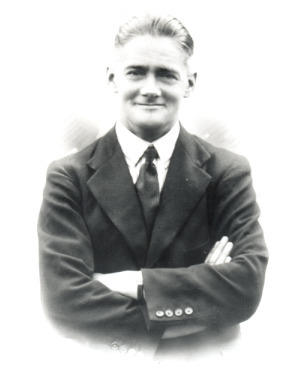 I am grateful to the Nuffield Foundation for permission to reproduce the photograph of Lord Nuffield. 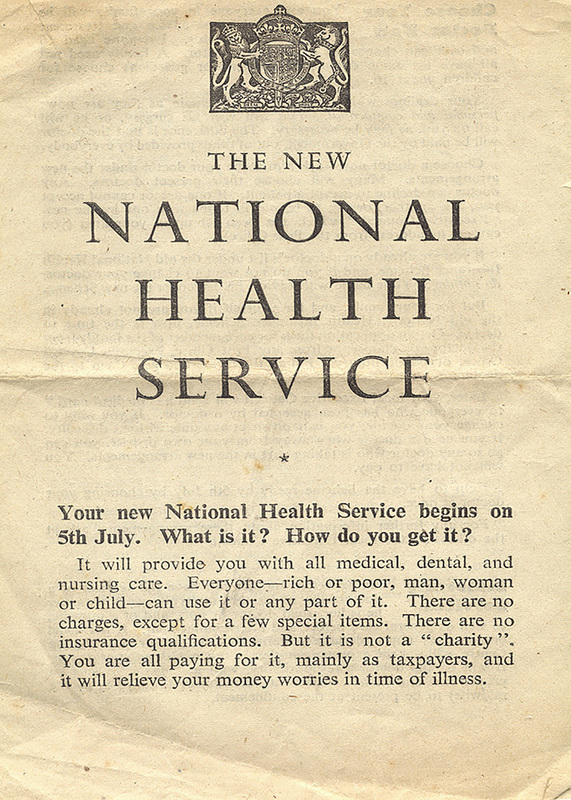 The National Health Service in 1948 was an extraordinarily revolutionary idea. As a government leaflet explained “Everyone – rich or poor, man, woman or child – can use it or any part of it. … it is not a ‘charity’. You are all paying for it, mainly as taxpayers, and it will relieve your money worries in time of illness”. Prior to the “appointed day”, as 5 July 1948 was known, Mr. W. J. Brymer, chairman of the hospital, told a governors’ meeting: “Though I am a Conservative at heart, I admit – and everyone who has anything to do with voluntary hospitals admits it – we should have found it hard to go on maintaining an efficient hospital without some financial aid from the State”. In the year prior to the changeover from independent charity to state-ownership, the hospital had treated 2,099 new in-patients, 4,824 new out-patients and 1,472 casualties. Out-patient attendances numbered 25,674. Although the hospital’s income had risen from £21,296 to £27,055 it had not kept pace with expenditure, leading to a deficit of £6,318. The hospital’s assets to be handed over to the state amounted to approximately £100,000 – the accumulation of voluntary efforts throughout the county since 1840. In England and Wales 1,143 voluntary hospitals with some 90,000 beds (and 1,545 municipal hospitals with about 390,000 beds) were taken over by the NHS. The management structure of hospitals changed. 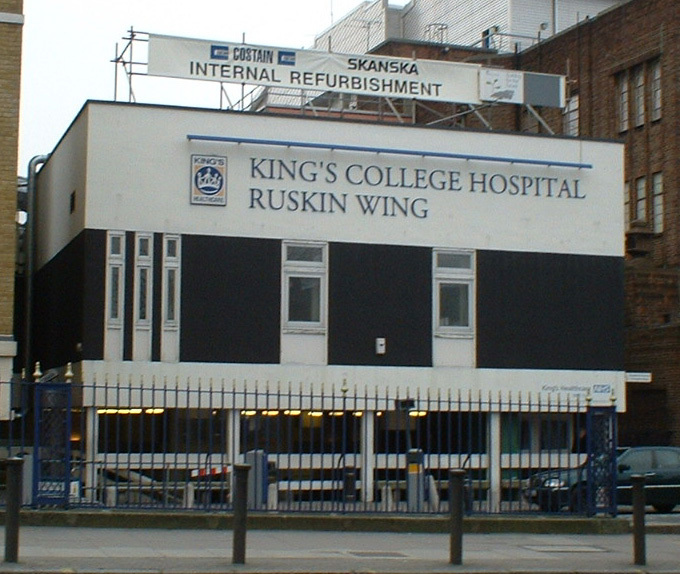 Dorset County Hospital came under the control of the South-West Metropolitan Regional Hospital Board, whose vast catchment area included Chelsea and parts of Kensington in London. Regional hospital boards were eventually replaced by regional health authorities in 1974. The Salmon report in 1966 abolished the position of matron to integrate senior nurses into the management structure of hospitals, and the Cogwheel report of 1967 sought an increased management role for medical staff. The result was a “consensus management” approach, with multi-disciplinary teams running hospitals. In 1983 the Griffiths inquiry famously suggested that “if Florence Nightingale were carrying her lamp through the NHS today she would be searching for the people in charge”. Out went consensus management, and the role of general manager was introduced, later to be re-styled as chief executives. In 1990 the NHS and Community Care Act introduced an “internal market” into the NHS. Dorset County Hospital, as part of West Dorset General Hospitals NHS Trust, became a provider selling services to GPs who acted as “informed purchasers” on behalf of patients. Finally, in 2007 the hospital became an NHS Foundation Trust, a legally independent organisation with more autonomy to manage its services and resources, earned by a record of financial probity. The figure in the middle is Miss Doris Goodwin, the matron. As well as change, there was continuity, particularly among the staff. For instance, Miss Doris Goodwin had been matron since 1939 and continued in post when the hospital transferred to the NHS and, indeed, well into the late 1950s. Improvements in pay and employment terms for staff had begun earlier in the 1940s, when the hospital adopted, in 1943, the recommendations of the Rushcliffe report, which increased nurses’ pay, capped their working hours at 96 hours a fortnight, and gave them one day off a week. The following year the “Hetherington scale” for paying a national rate to domestic staff was also adopted. These moves towards national pay scales and standardised terms of employment increased under the National Health Service. From 1948 the NHS adopted the Whitley Council system of employer/employee agreements on national pay and conditions. More recently, in December 2004, “Agenda for Change” was implemented, setting pay rates for all non-medical staff across the service. The NHS brought investment. 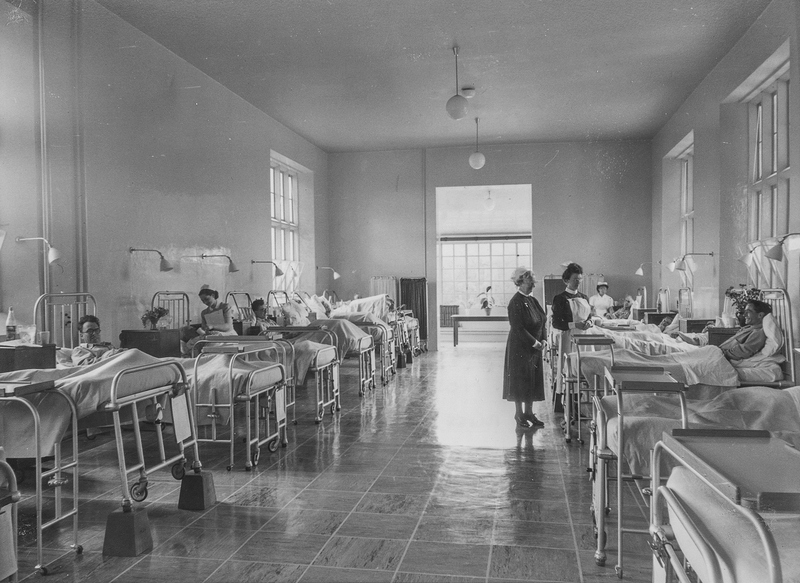 In 1949-50 £127,000 was earmarked for improvements to hospitals in the south-west, with another half a million pounds promised for the following year. At Dorset County Hospital, £6,000 was allocated for additional medical beds. Across the country the cost of the NHS quickly exceeded expectations – £305 million in 1949-50, rising to £384 million just 12 months later. A growing drugs bill prompted the introduction of prescription charges in 1952 and the following year – barely five years after the NHS was founded – the Guillebaud Committee was set up to examine the costs and structure of the NHS. With this began a history with which we are now familiar: continual financial pressures and frequent restructuring in the search for efficiencies and reduced bureaucracy. Despite the financial difficulties, in the 1980s and 1990s around £71 million was invested in building a new hospital for Dorchester. Today, in its 175th anniversary year, Dorset County Hospital has an annual income of £153.7 million. It has 365 beds and operates on a scale unimaginable to its Victorian founders with 107,000 in-patient admissions and 291,300 out-patient attendances a year. To read more about the history of the hospital, buy a copy of Dorset County Hospital: 175 years of rural healthcare (see here for ordering details). Profits from the sale of the book go to the hospital’s charity. As a case reported in the British Medical Journal makes clear, a consultation with one of the hospital’s doctors in 1852 would be familiar to a modern patient. The mainstay of a doctor’s diagnostic armoury was then – and still is – deployment of the senses: looking, listening, and feeling. Thirty-year-old labourer George Whittle was admitted in August 1852. Charles Cowdell, the honorary physician, took a medical history as best he could: Whittle “had always enjoyed good health (except an attack of scarlet fever, four or five years previously) … Of the progressive history of his illness he could give no account, having … been too ill to remember anything about it”. Cowdell observed the patient: “The face was worn and pale; there was great emaciation of the upper extremities”, and palpated (felt) the affected areas: “The legs were oedematous, especially the left; as were also the walls of the abdomen, which pitted under pressure”. Next auscultation (listening with a stethoscope): “The heart’s apex beat between the fourth and fifth ribs … The sounds at the apex were very indistinct …”. Cowdell then percussed (tapped) the upper body and listened: “In the lungs, percussion was decidedly duller under the left clavicle than under the right”. 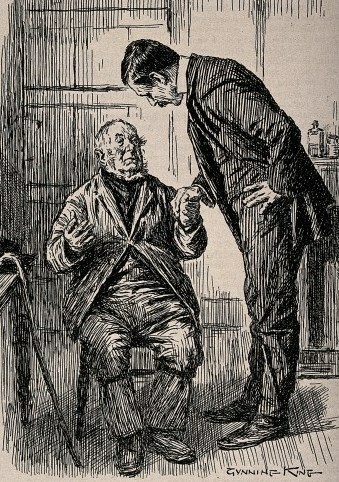 A doctor examining an elderly patient. Woodcut by Gunning King. Some chemical analysis and microscopy was possible – Whittle’s urine “deposited phosphates”. Cowdell had made microscopic investigations of cholera patients’ excretions in 1849 and the hospital had a microscope, acquired early in 1852. The growing interest in pathology led to the creation, in 1864, of a “pathological museum” at the hospital to house medical specimens. While the diagnostic techniques might be familiar to us today, some of the treatments are not. Bloodletting, using leeches, inducing vomiting and purging, blistering and cupping were all ancient techniques still practiced in the first half of the nineteenth century. Until the mid-1870s, alcohol (often referred to as “stimulants”) was used extensively in the treatment of patients. Whittle’s treatment included “a blister … applied over the heart”. At one point he was struck by pain in his bowels but “by the administration of stimulants at short intervals, he rallied from a state nearly approaching collapse”. After two or three weeks Whittle made a temporary recovery. He was able to “walk about on crutches, and even to go into the garden to smoke his pipe when the sun shone” but he was still weak, “with a dejected air and expression”. He died shortly after 2.30 p.m. on 5 October. A post mortem found the cause of death was a haemorrhage from an ulcerated aorta. 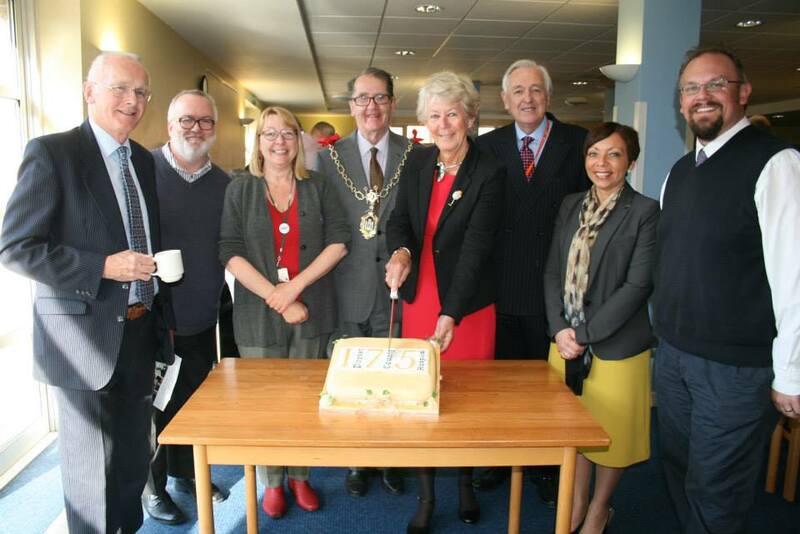 Yesterday Dorset County Hospital launched its 175th anniversary celebrations in the presence of the Mayor of Dorchester Peter Mann and Deputy Lieutenant of Dorset Angela Dupont, MBE. The celebrations are the result of a partnership between the hospital, Dorset History Centre and Dorset County Museum. The launch event included a ‘first hand’ account of a Victorian patient’s experience of their hospital stay, constructed from the hospital’s archives. During the event Peter Down, representing Dorset County Museum, presented hospital chairman Jeffrey Ellwood with a number of records in his possession, including the medical committee’s minute book covering 1936 to 1951, and a patient consent form from the 1930s. Other individuals came forward with memories and photographs which all contribute to the hospital’s history. If you have any material relating to Dorset County Hospital’s history which you wish to deposit, please contact Dorset History Centre. To mark the anniversary the hospital unveiled an exhibition telling its story. The display is open to the public (for free) in the corridor leading to the hospital’s Damers Restaurant. 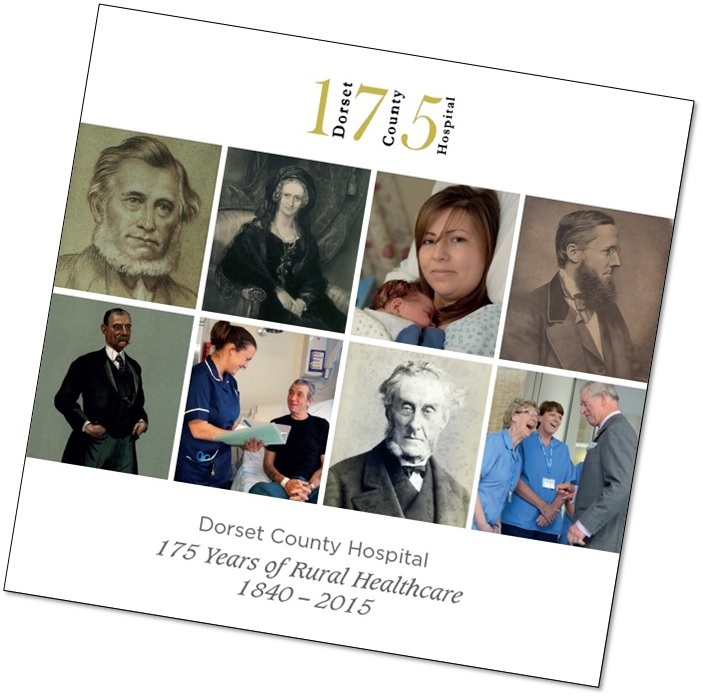 The hospital also launched a commemorative booklet, Dorset County Hospital: 175 Years of Rural Healthcare. For details of how to order a copy, click here. To mark the General Election today, extracts from the electoral registers for the 1930s have been published on this site. In the absence of census returns – and with the hospital’s staff records being closed for confidentiality reasons – the electoral registers for the 1930s enable us to identify staff living at the hospital or, later, at the nurses’ hostel. Most of the staff living at the hospital were women. The Representation of the People Act, passed in 1918, had allowed women over the age of 30 who met minimum property qualifications to vote in Parliamentary elections. Ten years later, in 1928, the Representation of the People (Equal Franchise) Act gave the vote to all women over the age of 21. The electoral registers compiled following the 1928 Act list those resident at the hospital, including Miss Edith Sarah Hill, who was the matron from 1917 until 1931, when she retired due to ill health. 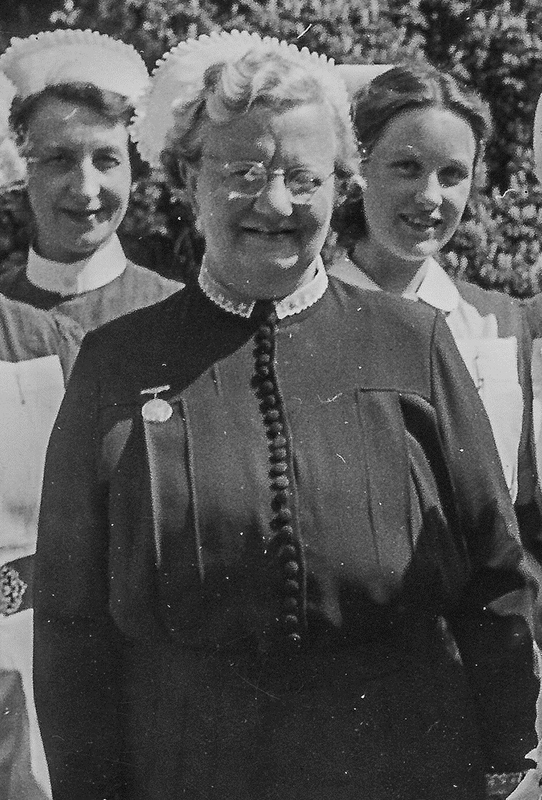 Below she is pictured with the other nursing staff in 1929. The last of the matrons to appear in the 1930s electoral registers was Doris Mary Goodwin who was appointed in 1939. It was during Miss Goodwin’s long period of office that the hospital became part of the National Health Service in 1948. Here she is pictured in the early 1950s when she was still in post. The electoral register for 1939 tells us that there were 18 individuals living in the nurses’ hostel, all of them unmarried. The matron continued to live in the main hospital building. The electoral registers for Dorset are held by the Dorset History Centre (opens in a new window). Find out when the matron’s weekly beer ration was stopped, which Dorset doctor operated on King Edward VII, who was the first person to arrive at the hospital by air ambulance and why the hospital didn’t often run out of eggs in wartime. A fascinating history of Dorset County Hospital from its foundation by Dorset Victorian philanthropists such as the Earl of Shaftesbury in 1840 to the creation of the present day National Health Service. Full colour paperback, 69pp. Price £6.95 plus £2.50 postage and packaging – all proceeds to the hospital’s charitable fund. Out on 11 May, available to pre-order. Please send your name and address, along with a cheque payable to “DCH Charitable Fund”, to Arts in Hospital, Dorset County Hospital, Williams Avenue, Dorchester DT1 2JY. [We] met on the day fixed for the Opening (viz., the 6th May) ; on that day no application was made for the admission of In-Patients, but several Out-Patients received advice and medicine. On the 13th, 3 In-Patients were admitted, and on the 20th, 6 more. From that time the numbers increased steadily, and for the first four months maintained an average of 14 In-Patients; and during the last four the full average of 20, some having been in the Hospital during six months and upwards. By the end of the year, the hospital had admitted 85 in-patients. Ten years later, over 300 patients were being received onto the wards each year. 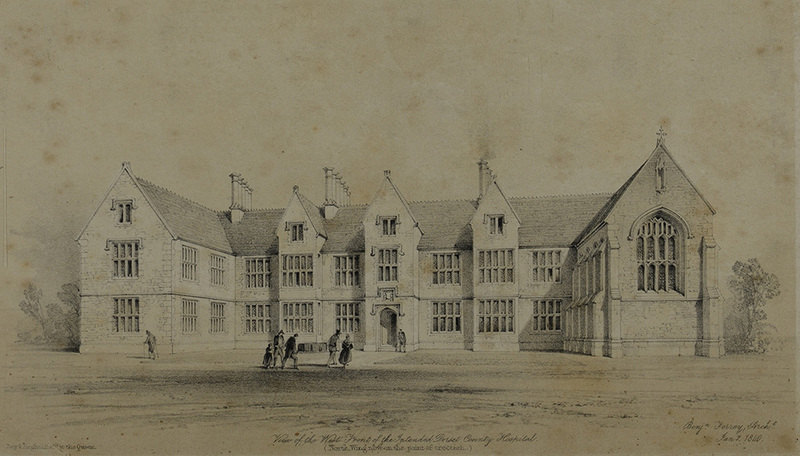 At its opening in 1841, only the north part of the building (the wing on the left hand side) had been built. In the above image, you can see architect Benjamin Ferrey’s original plan (drawn in 1840) for the new hospital. It would take nearly twenty years for Ferrey’s design to be realised. Celebrations to mark Dorset County Hospital’s 175th anniversary will be launched on Monday, 11 May 2015 from 5.00 pm to 6.30 pm in the hospital’s Education Centre. Places for the launch event are limited and booking is essential. Please book your place by emailing Liz Beardsall (click on the link) or by calling Liz on 01305 255 419. Entry to the event is FREE. There will be talks from the hospital’s chairman and chief executive, as well as arts manager Alex Murdin. There will then be an opportunity to enjoy tea and cake in the hospital’s Damers Restaurant, and to view an exhibition on the hospital’s history in the corridor leading to the restaurant. The anniversary project is a unique partnership between Arts in Hospital at DCH, Dorset History Centre and Dorset County Museum, and has been generously supported by a Heritage Lottery Fund ‘Sharing Heritage’ grant and DCH charitable funds. The celebrations consist of a number of strands, including an oral history project with volunteers collecting patient and staff stories which will feed into a music project; an exhibition and booklet telling the story of the hospital’s history; and a new ‘health and heritage’ trail for visitors and residents of Dorchester, based on the life and times of surgical pioneer Sir Frederick Treves (1853-1923), a native of Dorchester. The oral history element will collect the stories of everyday people delivering and using healthcare services, including the first person to arrive at the hospital in an air ambulance and the 17-year-old daughter of a surgeon helping out in 1945. Folk South West will be using this material to make new music related to local traditions which will be performed in the hospital later in the year. The health and heritage trail for the town will be created by a group of Heritage Lottery Fund Young Roots ‘graduates’ from a previous Dorset Youth Association project. 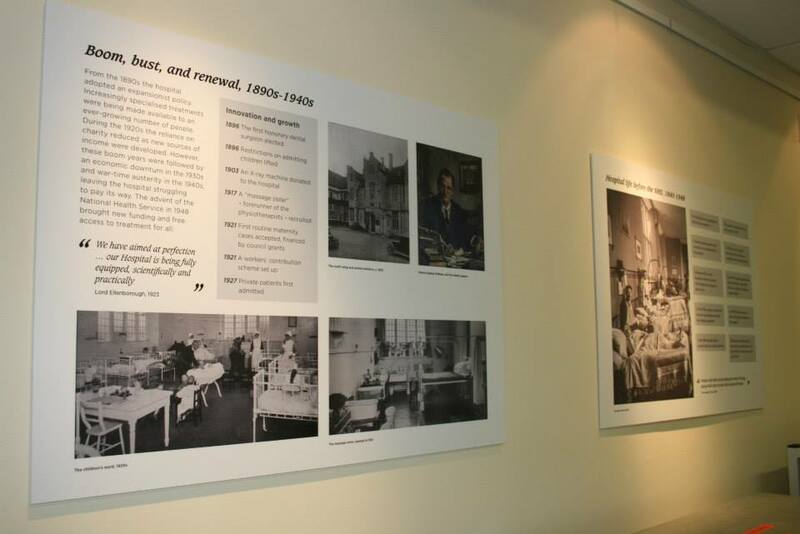 The exhibition will be available to view in the hospital anytime until 30 August 2015, and the booklet telling the story of the hospital’s history will be on sale from 11 May. A history of the hospital, written to mark its 175th anniversary, goes to the printers this week. The publication, along with an accompanying exhibition, will be launched at the hospital by the chairman and the chief executive on 11 May. All profits from the sale of the booklet will go to the Dorset County Hospital charity, which funds equipment and services over and above those provided by the NHS. To receive an email alert as soon as the booklet goes on sale, please send your email address (click on the red text). Registering your contact details places you under no obligation to buy. The exhibition is free to all members of the public visiting the hospital. On 9 April 1862 the Bishop of Salisbury dedicated a permanent chapel at the hospital. It replaced a wooden structure which was accessed from the upper floor. The old wooden chapel, supported on stone pillars, formed a over the back door. The new chapel, designed by architect Benjamin Ferrey, was “in the early English style of architecture”, with Ridgeway random coursing and Portland stone dressing. There was seating for about 80 patients and staff. The chapel became a repository for memorials to the hospital’s benefactors, only one of which survives, although we have the wording for the others. More information, including a detailed description of the architecture, can be read on a new page about the chapel (click on the red link), which has been published today. 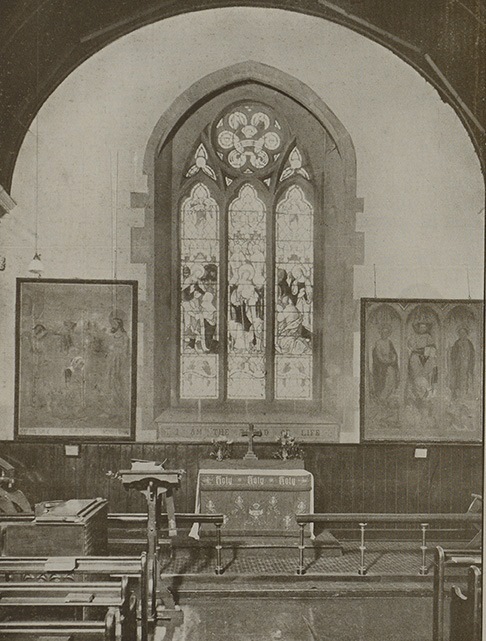 The chapel forms part of the hospital’s 175 year history which is being celebrated this year with the publication of a 70-page illustrated booklet. If you would like a copy of the booklet (to be launched on 11 May), please send your email address to receive an alert as soon as the booklet goes on sale. Registering your contact details places you under no obligation to buy. 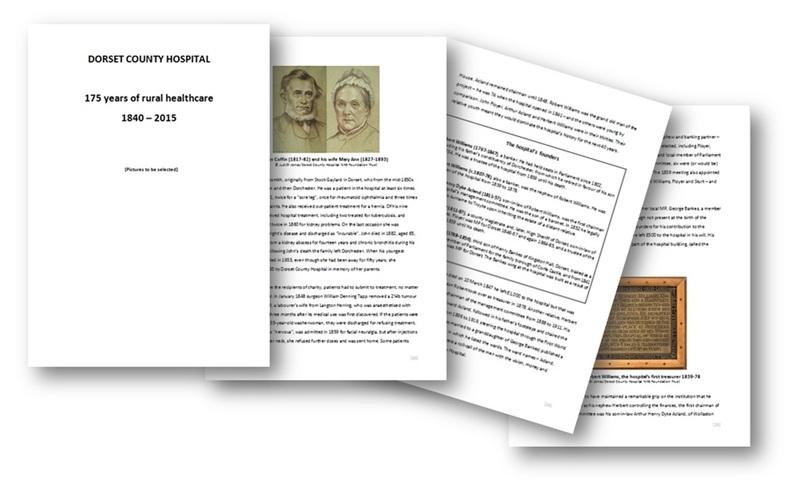 The drafting of a new booklet on the history of the hospital, which will be published in May as part of the 175th anniversary celebrations, has been completed. The 20,000-word draft is based on many months of research, and it is now being edited by project partners at Dorset History Centre. We are also in the final stages of sourcing images. The project team is particularly grateful to those who have donated photographs including The Dorset Echo, the Wellcome Library, Dorset County Museum, the National Trust and the St. Bartholomew’s Hospital Archives. 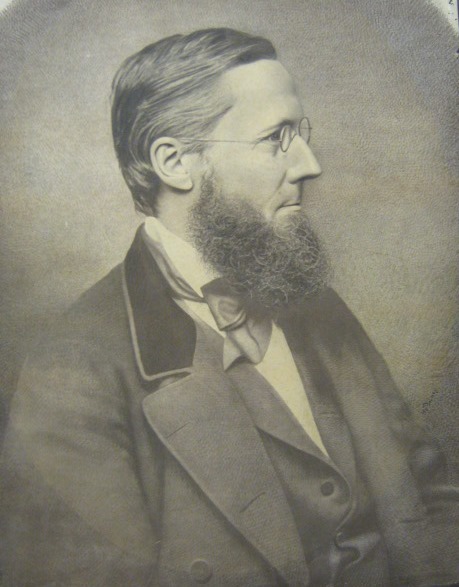 The booklet will have around 50 illustrations, including an early photograph of one of the honorary physicians, discovered in the Dorset County Museum. One photograph (of a Victorian matron) has come all the way from Australia. There are also excellent photographs of historic items on display at the hospital, taken by Judith Jones (www.judithjonesphoto.com). The history includes sections on patients, staff, the hospital’s founders and supporters, and its buildings, revealing many untold stories about the labouring poor who received treatment and introducing you to some of the characters who worked at the hospital. The booklet concludes with a description of the surviving historic records so you can carry out your own research. The publication will be sold via the hospital and the Dorset History Centre, with proceeds going to the hospital’s charity. There will also be an accompanying exhibition at the hospital, from 11 May. It’s a small print run – just 500 copies. To grab a copy, please submit your email address (click on the red text) to receive an email alert as soon as the booklet goes on sale. Registering your contact details places you under no obligation to buy. Today at 6:00 pm, TV channel Yesterday will show a Time Team episode entitled “Brunel’s Last Launch”, which tells the story of Isambard Kingdom Brunel’s steamship, the SS Great Eastern. 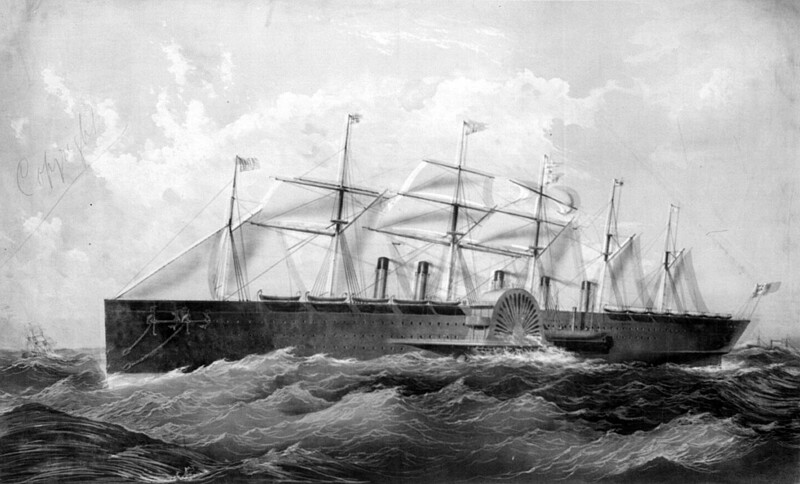 In 1859 the steamship made its maiden voyage. Some of its funnels had been double-layered to help cool them, an experiment that had repeatedly failed. As the ship sailed past Hastings, on its way to Portland, one of the funnels exploded, releasing a huge amount of scalding steam and wrecking the saloon below. Three stokers died almost immediately and one was lost overboard when he jumped. Another six men were badly injured: “the peculiar bright, soft whiteness of the face, hands, or breast, told at once that the skin, though unbroken, has in fact been boiled by the steam”. As the ship was otherwise in tact it continued on its journey and the survivors were taken to Portland Hospital. All were placed under the care of surgeon George Curme. William Tait and John Yoxon were discharged on 10 November and William Sparks left the hospital on 17 November. Sources The Times, 12 September 1859, page 7; Western Daily Press, 15 September 1859, page 3; Sherborne Mercury, 20 September 1859, page 5; Dorset History Centre, Dorset County Hospital in-patient register, NG/HH/DO(C)/5/2/2, entries 4719-21. On this day, 29 January, in 1848, one of the earliest clinical uses of chloroform at Dorset County Hospital took place when surgeon W. D. Tapp removed Eliza Satchell’s right breast. Eliza, aged 38, was the wife of a shoemaker from Langton Herring. She had been admitted to the hospital two days earlier on the recommendation of her local vicar, Rev. F. J. Frenow, for treatment of a tumor “of a malignant character (Meduliary Sarcoma) which weighed 2 ¼ lbs”. Chloroform is another name for trichloromethane – a colourless, dense, liquid chemical compound. It is non-flammable and has a pleasant odour and a burning, sweet taste – 40 times sweeter than sugar. The anaesthetic use of chloroform had only been discovered a few months before Eliza’s operation when Scottish obstetrician James Young Simpson administered it to himself and a couple of doctor friends on 4 November 1847. After feeling very happy and talkative, the three men passed out. However chloroform was dangerous – it was later found to cause paralysis of the heart in one patient in about 3,000 – and Simpson was lucky to have survived the dose he gave himself. The first patient to die from chloroform was a 15-year-old named Hannah Greener, from near Newcastle. She died the day before Eliza’s operation. Eliza survived the procedure and was discharged on 6 April. The hospital recorded her as “cured” although the local newspaper noted that “no very sanguine hopes can be entertained as the disease is constitutional, and therefore liable to recur in any other part of the body”. The operation gave Eliza just over one year of life. She died on 24 August 1849 at Langton Herring, leaving a son under the age of two. The cause of death was fungus haematodes – also known as soft cancer – of the breast. [Joseph] had been admitted into the Hospital with an extensive gangrene in his leg, and was reduced to such an extreme degree of weakness that it was feared he could not survive the shock of amputation in the ordinary manner ; and therefore the operation under chloroform offered the only chance of saving life. Ninety drops of the fluid were placed on a sponge, and applied to Joseph’s nose and mouth. Within two minutes he fell gradually back, “as if in a quiet sleep”, and the operation was completed without him “being sensible of any pain”. Joseph’s pulse, which had been very feeble, increased in volume under the effects of the chloroform. Joseph revived while the arteries were being secured. “He appeared quite collected, and disclaimed having felt any pain, either while the operation was in progress or in the subsequent dressing of the wound”. Sadly Joseph died just a week later, on 3 December, of a “chill”. In the 1850s, chloroform was used during the birth of Queen Victoria’s last two children. 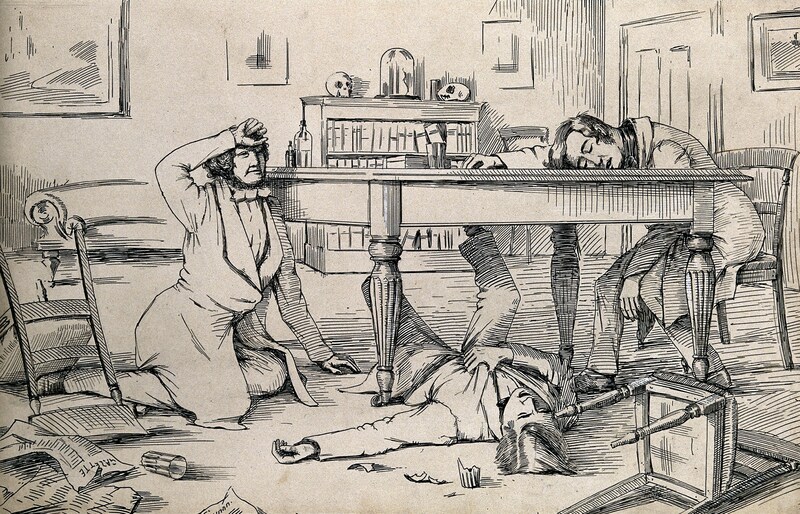 During the Crimean war, chloroform was administered 12,000 times by the British Army, with only one death attributed to its use. The surgeons at Dorset County Hospital continued to use chloroform but in time nitrous oxide became more prevalent. In 1900, of 138 surgical procedures where an anaesthetic was applied, chloroform was used in less than 20% of cases. Sources Dorset County Chronicle, 2 December 1847, page 4; Sherborne Mercury, 5 February 1848, page 4; Dorset County Chronicle, 23 March 1848, page 4; P. R. Knight & D. R. Bacon, ‘An unexplained death: Hannah Greener and chloroform’, Anesthesiology, May 2002, volume 96, number 5, pages 1250-53; Dorset History Centre, Dorset County Hospital in-patient register, NG/HH/DO(C)/5/2/1, entry 1161; Dorset County Hospital annual report for 1900, NG/HH/DO(C)/2/1/1, page 11. The Historic Hospital Admission Registers Project (HHARP) provides access to nearly 120,000 individual admission records between 1852 and 1914 for a small number of children’s hospitals in London and Glasgow. There appear to be 163 entries relating to children from Dorset in the database – the earliest dates from 1857. The HHARP database – freely available at www.hharp.org – is the result of a partnership between Kingston University’s Centre for Local History Studies and various hospital archives. This fascinating resource can be used by family historians, medical historians and demographers, and allows searches by name, place, date, disease etc. You can get full search results by registering with the site, which takes just a moment. 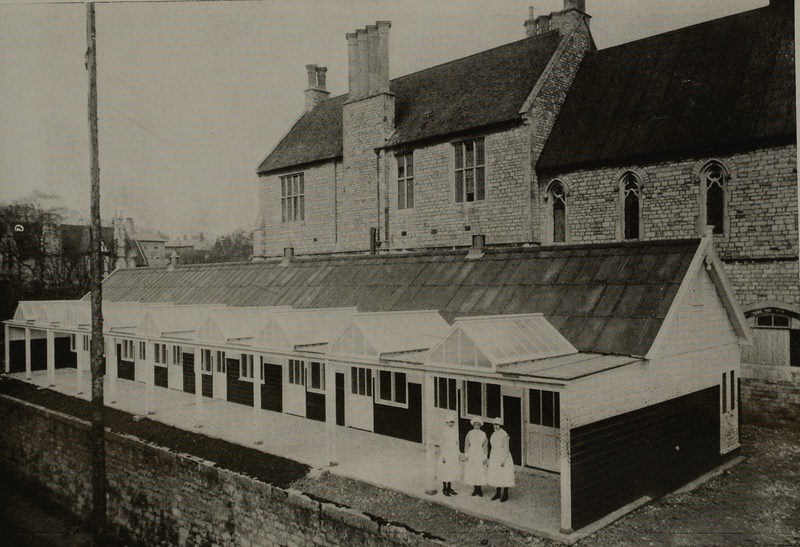 The site also has a collection of articles on the early history of the hospitals, pen-portraits of personalities who inhabited them and a gallery of images. A project team at Dorset County Hospital, working with the Dorset History Centre and the county museum have called on volunteers to help celebrate the hospital’s 175th anniversary this year, reports the Dorset Echo this weekend (click on the image to read the article). The anniversary activities include an oral history project which aims to capture the memories of patients and staff, past and present. The project team are looking for volunteers – either patients and staff with stories to share, or people who would like to receive free training in collecting oral histories. If you would like to volunteer for the training or if you have reminiscences to share, please make contact via this website and your details will be passed to the project team. In 1840 a group of wealthy philanthropists founded Dorset County Hospital in Dorchester to help the county’s sick poor. From this small Victorian charity the institution has developed over the last 175 years into a modern NHS facility delivering treatment and care to thousands of local people. recording for posterity the memories of patients, staff and supporters. For updates on these activities, and news of the celebrations to be held in May 2015, make sure you follow Twitter account @HistoryDCH.